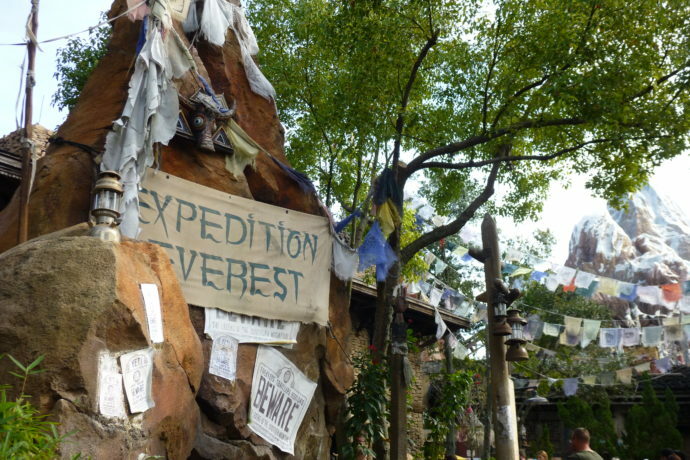 Expedition Everest opened in 2006 at Disney’s Animal Kingdom in Walt Disney World. 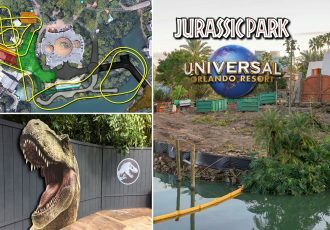 It took six years of planning and construction to bring this massive attraction to life. 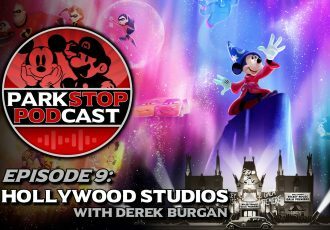 At the time, it was the most expensive roller coaster ever built… But it’s the incredible attention to detail that sets it apart from other roller coasters. Imagineers actually traveled to the Himalayas to learn about the culture and architecture to make the experience as true to life as possible. Many of the photos throughout the queue were taken on their trips and they brought over 1000 pieces and props from Nepal to use in the queue’s decor. Little details like these help to make Expedition Everest stand out as one of the best coaster attractions in the world. 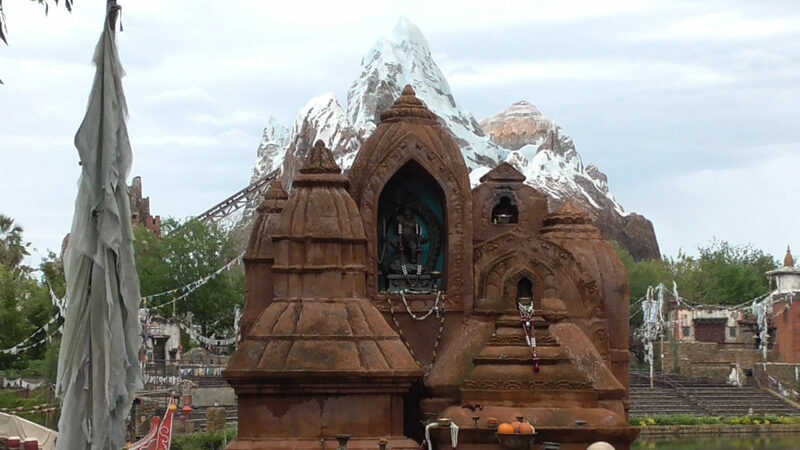 Here are 10 “Yeti-Sized” Facts about Expedition Everest. 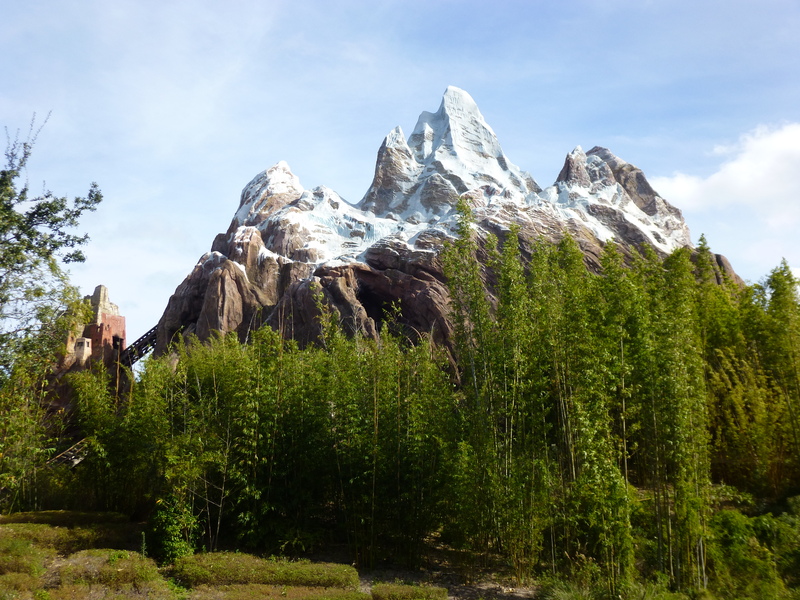 Expedition Everest is the tallest of all the Disney “mountain” attractions throughout the world. 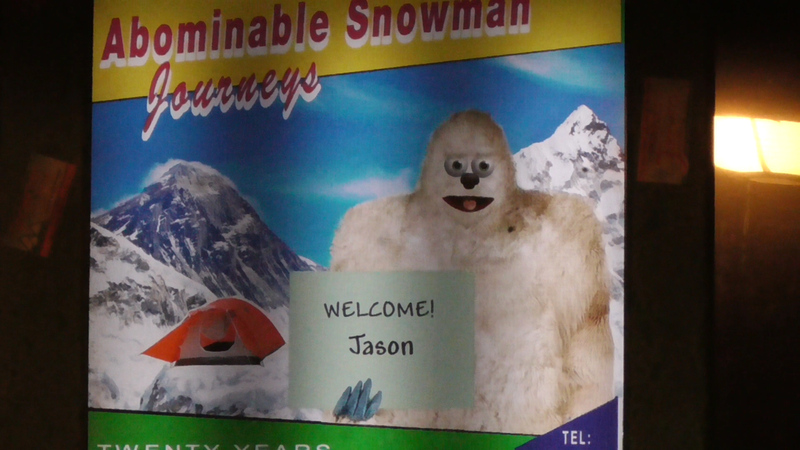 Which is fitting, given the Everest name. Although, the ride doesn’t actually take place on Everest. In the story, we’re on our way to Mt. 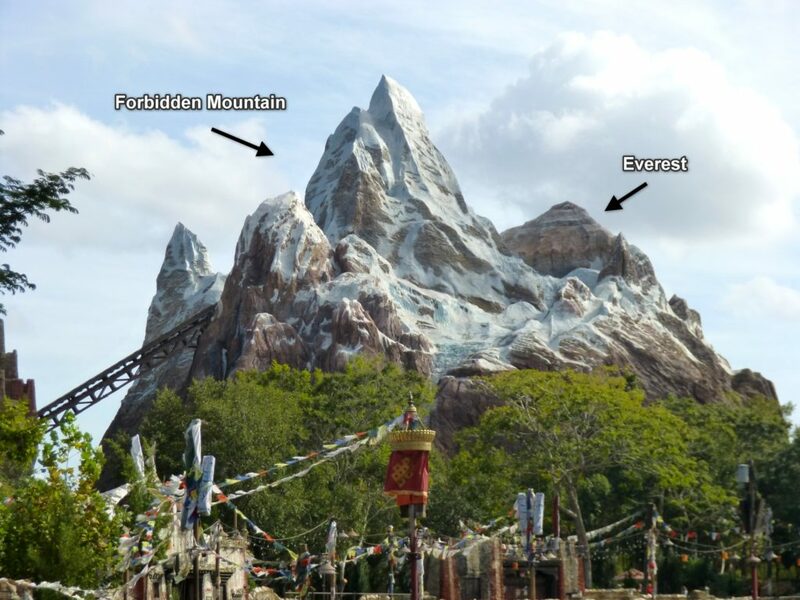 Everest, which can be seen as a peak in the distance, made to look farther away using forced perspective. 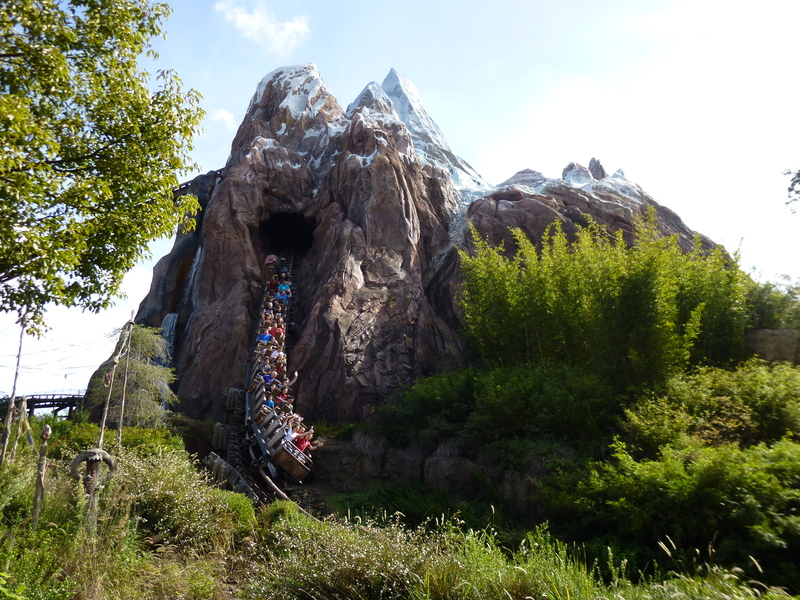 But first, we must pass through the “Forbidden Mountain,” which is where the ride takes place – and is home to the Yeti. The mountain It is 199 and a half feet tall, beating the Tower of Terror as the tallest attraction at Walt Disney World by just 6 inches. If it was half a foot taller they would be required to place a blinking red light on the top to alert airplanes. 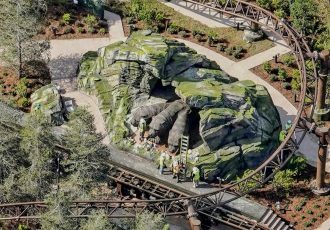 To sculpt the mountain’s rockwork Disney created a new type of scaffolding that is built directly into the design. After the sculpting and painting was complete, they removed the scaffolding piece by piece, patching the holes left behind as they went. 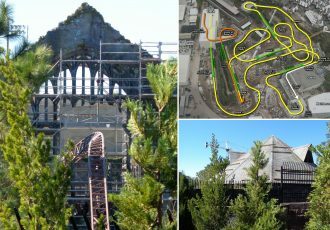 The coaster track, mountain structure, and Yeti platform are three completely separate structures, all built together, but without actually touching. Each of these components reach the ground-level independently. Imagineers used computers to design a layout that would keep the track at least six inches from the mountain’s steel structure at all times. This would prevent the vibrating coaster track and supports from tearing the mountain’s intricate theming apart over time. 5000 tons of structural steel was used in the attraction for both the mountain and coaster track. More than 3000 sections of rebar grids called “chips” were created and installed along the outside of the mountain. Like puzzle pieces they were designed to fit together, welded on to the structure, and then covered in nearly 32,000 bags of cement. Even before you arrive at the mountain you may see some warnings of the Yeti. This shrine showcasing the mighty Yeti is shaped to mimic the forbidden mountain in the distance. The ride’s entrance shows not only the sign for your expedition, but also warnings of the danger ahead. Throughout the queue you encounter statues and wooden carvings of the mythological beast, many carved by artists in Kathmandu and then aged by Imagineers to look a hundred years old. 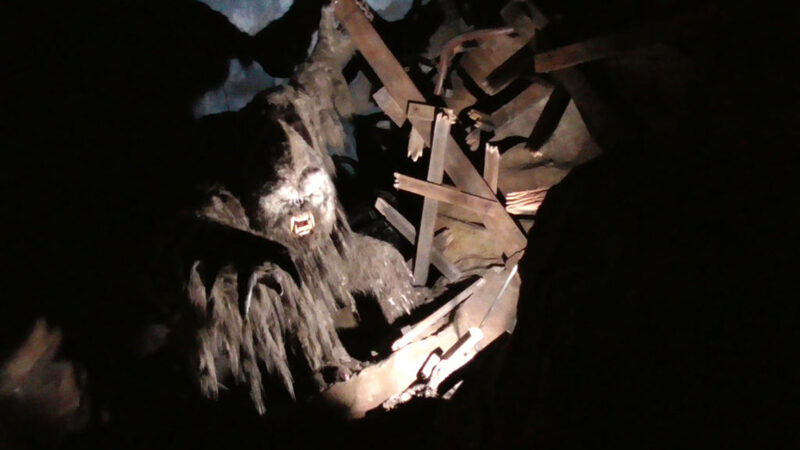 Before boarding the train you’re treated to one last warning in the Yeti museum, showcasing a terrifying photo and what remains of a camp that was ransacked, by something. And as your train climbs the lift, you get one last glimpse at a piece of art depicting the protector of the forbidden mountain. As you enter the queue you pass through different areas like the ticketing office and supplies shop. Here you are the star of the story and you’re preparing for your expedition. Guests often take part in the story by giving their own offerings of coins to the many shrines throughout the queue. This was not something Imagineers expected to happen, but it’s nice to know that all of the money collected is donated to animal conservation efforts around the world. To further immerse you in the story, guests wearing Magic Bands may find their names incorporated in advertisements on the walls of the queue before arriving at the load station. To create a realistic looking village Imagineers traveled to Nepal to learn about the local culture and architectural styles. They saw shopkeepers that lived above their stores and recreated it in the queue. Thousands of the objects and pieces of decor in the queue were acquired in Nepal. Many of the photos you see were taken by Imagineers of real people they encountered while researching locations for Animal Kingdom. 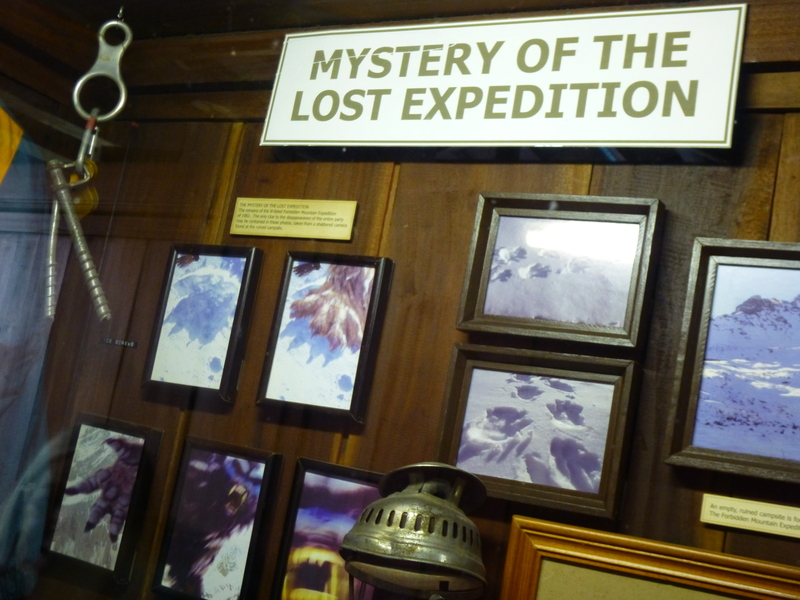 The backstory for the attraction is that the expedition offices are set at an old tea plantation. The train was originally used to bring tea to the village to sell, but now it’s used to be bring trekkers to the mountain. The shelves holding food supplies in the queue are actually tea-drying cabinets, and if you look closely you may even spot some Yet-tea among the dry goods. 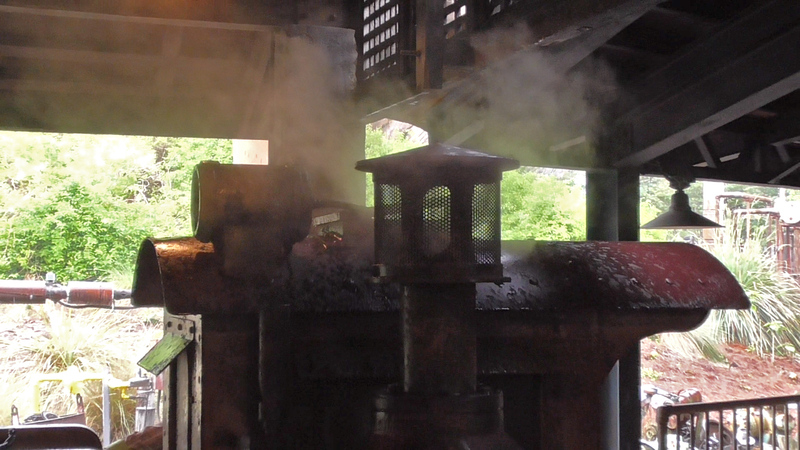 The coaster train is themed to look like an old rusty cast iron steam train, but instead of carrying around boiling water, the steam actually comes from somewhere else entirely. A boiler is located just outside the load area. The steam is pumped in under the track at the load area and it shoots up through the back train car when it parks at the station, making it look like it’s coming out of the smokestack. Since you won’t be looking behind you at the caboose during the ride, they only needed the steam effect when your train arrives! 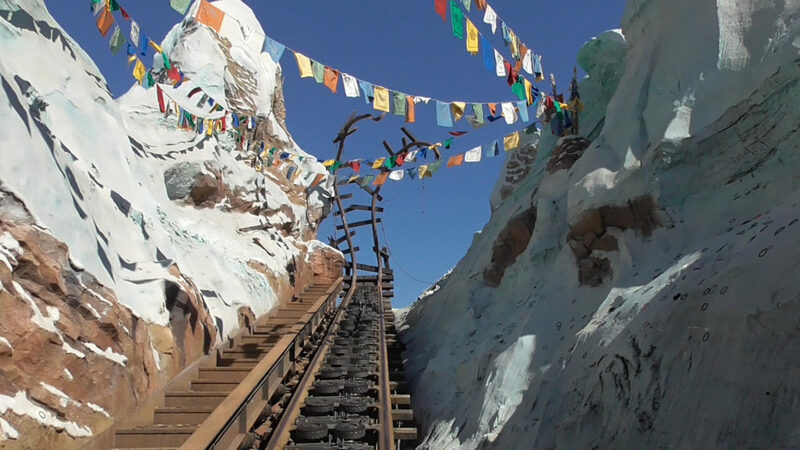 Expedition Everest is the first Disney ride to go both forwards and backwards. The Indiana Jones coaster at Disneyland Paris was the first Disney ride to go backwards when it was updated in 2000 as a reversed version of the ride. By 2004 that ride was set back to a forward moving coaster, but Everest was the first to incorporate both directions into one attraction. To accomplish this there are two track switches on the ride, each weighing 200,000 pounds a piece. They were designed to quickly rotate, switching the track’s direction in under 6 seconds. Riders reach a top speed of 50 miles per hour and 3 g’s of force while riding. 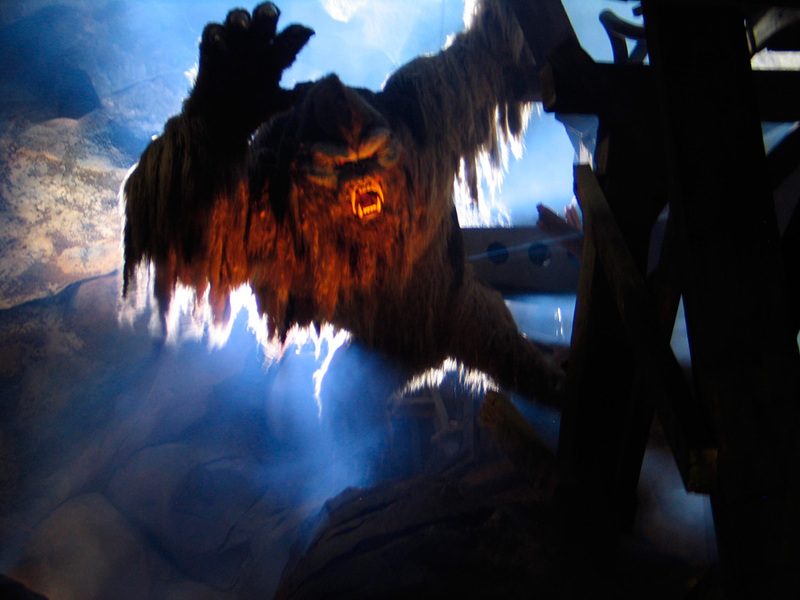 The yeti was the largest and most complex animatronic figure Disney had ever built. He is 25 feet tall, weighs around 4 tons, and was created to dart forward with more power than a jet engine. His movement is controlled by 19 actuators that were meant to work together to create fluid life-like motion. He was designed to lunge forward toward riders using a long boom extending out of his back powered by hydraulic thrust. His skin and fur covering measures out to about 1000 square feet, and it’s held in place by around 1000 snaps and 250 zippers. The yeti’s roars were recorded by voice actor Fred Tatasciore, known for his voice work in films and video games. When Animal Kingdom opened in 1998 the park’s dedication included the phrase: “Welcome to a kingdom of animals… real, ancient and imagined.” The new park was filled with real animals, and DinoLand USA took care of the ancient, but there was not yet anything based on the imagined. 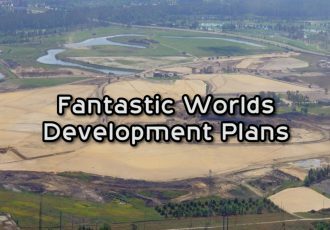 A land called Beastly Kingdom featuring mythical creatures, like dragons and unicorns, was originally meant to open with the park but was postponed and eventually canceled. 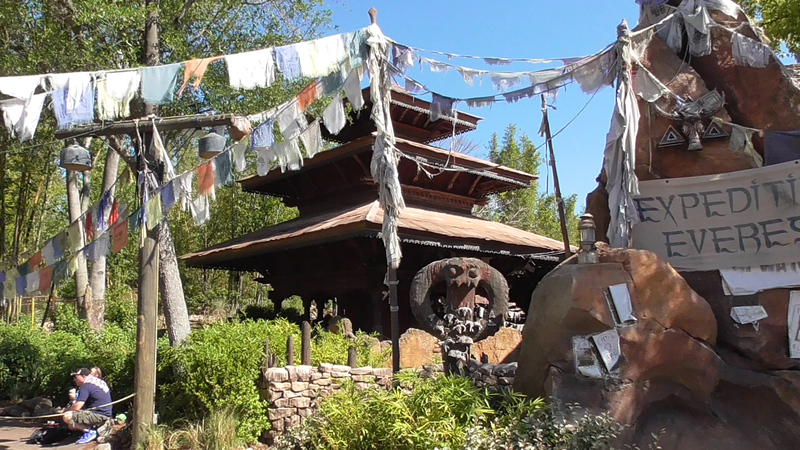 Expedition Everest would bring the park’s first imagined creature 7 and a half years later in the form of the Yeti. That is, unless the legends are true. If you’re looking to visit Walt Disney World be sure to request your free vacation quote from Destinations in Florida. These travel planning experts can help you plan your dream vacation with the best deals on theme park tickets and on-site hotels. The best part is, their service is completely FREE when you book through them! They’re an Authorized Disney World travel planner, so they know how to get you set up with everything you need.